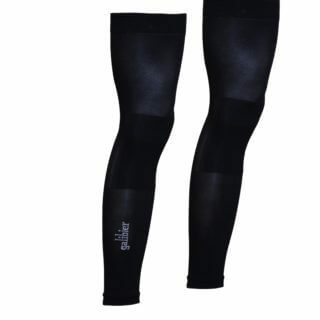 A Light, LYCRA® arm warmer, to keep you moving mid-season, or warm in early mornings, before the sun clears the mist. 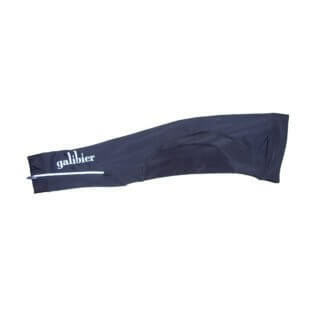 We have a full 40mm Powerband® at the Bicep to keep the arm warmer in place without feeling pressure. This is the same Italian, Silicone band we will be using in our shorts during 2018. A simple lycra tube can be easily removed and folded neatly into the pocket and is machine washable. 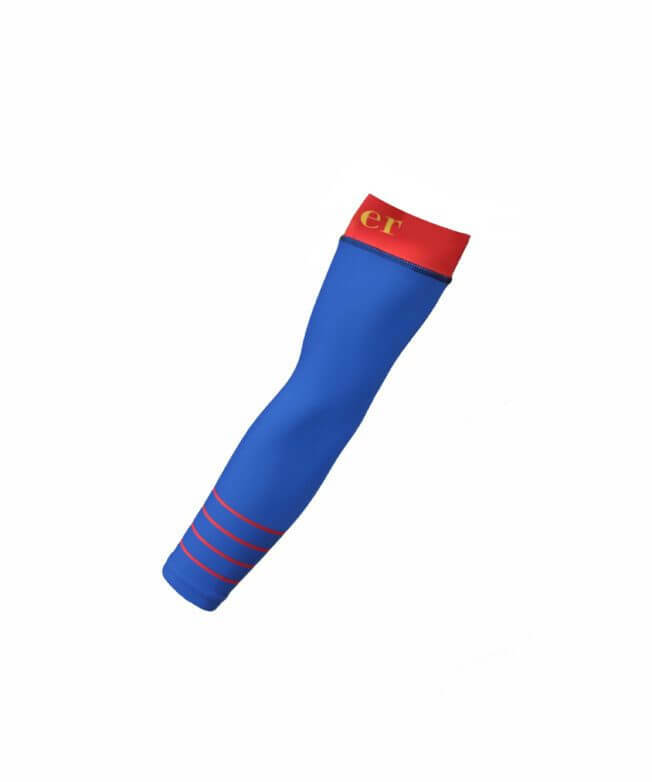 The arm warmers are true blue with the red silicone band hiding quite, under most short sleeved jerseys.